You won't find a place to stay in the centre of Hamelin Bay. There's only 1 accommodation option within 10 kilometres, so make sure you plan your visit in advance! Wotif suggests securing a room at the Augusta Sheoak Chalets, as it's the only place near the action. 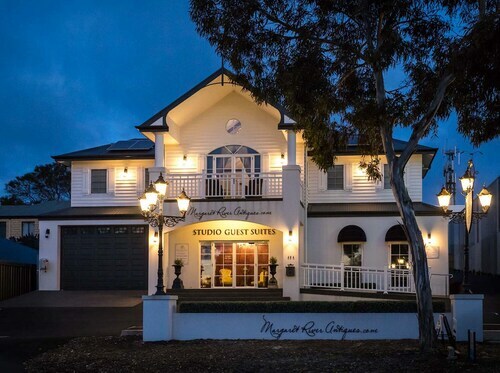 If you find yourself needing more options in Hamelin Bay, try the Margarets Beach Resort and the Margaret River Bed and Breakfast. They are located 25 kilometres and 30 kilometres away from the city's main streets. 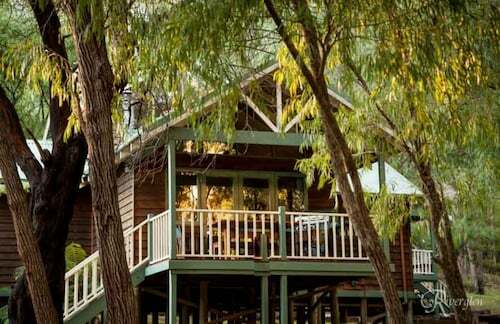 Wotif also recommends the Margaret River Stone Cottages and the Bushy Lake Chalets. The first is 18 kilometres away from the center, while the other is 30 kilometres away. Australia's Western Australia has loads of other great places to check out! Check out the art galleries. Visitors can also take in the region's beaches. Visitors and locals alike in this fabulous part of Australia can enjoy hiking, four-wheel driving and shore fishing. If you'd like to go to some nearby cities, think about Boranup and Augusta. Travel 11 kilometres to the north from Hamelin Bay and you'll locate Boranup. That said, Augusta is 12 kilometres to the southeast. 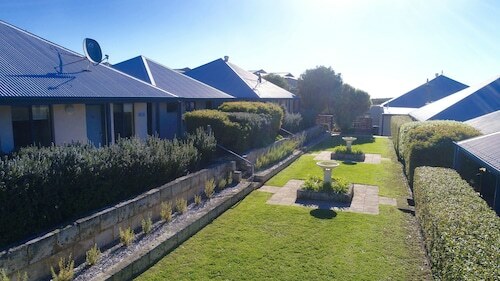 Accommodations in Boranup include the Harmony Forest Accommodation and Vineyard and Boranup Forest Retreat. The Augusta's Georgiana Molloy Motel and Riverside Cottages Augusta are some of the ones in Augusta. Brusselton Airport is the most logical airport for arriving in Hamelin Bay and is 70 kilometres from the CBD. If you plan to stay nearby, try the Busselton Guest House or the Inn the Tuarts Guest Lodge Busselton. How Much is a Hotel Room in Hamelin Bay? Hotels in Hamelin Bay start at AU$117 per night. Prices and availability subject to change. Additional terms may apply. I loved the furniture and the little touches that the owners made to make you feel very welcome. We have stayed here three times in the past 4 years, and it has become our family’s home away from home. The staff are always friendly, rooms always clean, and the place calm, quiet and relaxing. We’ve stayed at many other places in the Margs area but always come back here. Excellent location, forest ambiance and close to town. Nice private chalets with balcony. Difficult to cook in small kitchen. Wi fi useless.